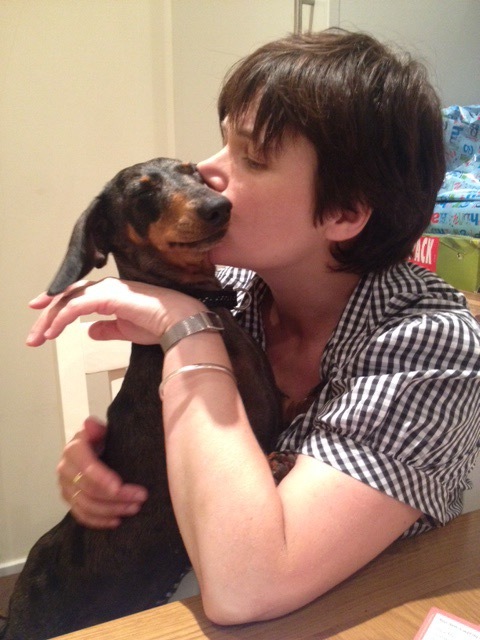 My little sausage dog Holly is missing and has been sighted in the Morden Road area of Blackheath Village in the last few days. I’ve put up posters and searched and asked around. People have been very kind. She was last seen near the white gate on Morden Road coming out of the green gated garages – yesterday afternoon. I’ve searched and called but obviously can’t go trespassing on people’s property. I think I heard her barking tonight. But she stopped after a short time, afraid perhaps to call attention to herself in the dark. This was in the Plantation/Swayne Place area. I think she is holing up in gardens. Could you please, please send out a plea for people to search gardens, sheds and garages. It is so cold for a small dog to be lost. She is friendly on approach. I need the next person who sees her to hang on to her and contact me (07904033338). So hope she’s found. Do you have a picture of her? Will share on our children’s centre fb site as will reach a good audience… Good luck to them! I thought I found this little sausage on Saturday and got her to her owner… She was running around Blackheath Park and Morden Road without a collar on. Has she bolted again? Hi Lucy – lots of kind people got in touch to say they saw Holly on Friday and Saturday in Blackheath Park and Morden Road area. I was convinced it was her because how many sausage dogs go missing within a few miles of each other? But I’m now wondering if it was the other dog, the one you found, that they saw. When did you give her back? And what colour was the one you found? Holly is a dark silver dapple. A mixture of light to dark, dark brown. She had a pink collar on when lost. The little dog I found didn’t have a collar on. She was a bit nervous and wouldn’t come to me but I stayed close to her for a while until her owner came and found us, he heard her barking. I’m afraid I have a terrible memory but she was brown, a tiny bit larger than a typical sausage. I thought that the guy called her Holly but I could easily be mistaken… This was about 10:30am and the chap said she had been missing for an hour. I’m keeping my eyes peeled for her… Do hope she turns up soon, I have a dog too and would be heartbroken if she went awol for a bit.